In our fast-paced modern world, time is increasingly becoming one of our most valuable resources. Globally, companies are searching for ways to reduce time wastage and ensure that every minute is being used optimally. For equipment service providers, one of the main culprits for wasted time is travel. Each time a piece of equipment breaks down or requires maintenance, a Field Service Engineer (FSE) must travel to the site before any work can begin. In some cases this may mean a 30 minute drive; in others it can take up to two weeks just to make the necessary travel arrangements, followed by a lengthy flight. Such delays and dead time are simply no longer acceptable, not to mention the resultant equipment downtime. While we can still maintain hope that teleportation will become a reality, luckily there is an interim solution - remote support tools. With these tools, FSEs and/or other technical experts can communicate with the client’s technical support staff or send a less experienced team member to the equipment site and thereby have eyes and ears on the equipment without needing to be in the same country, let alone the same room, as the equipment. 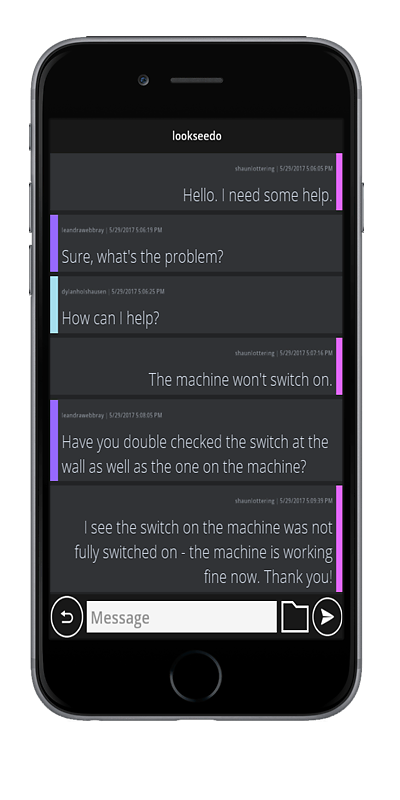 Using these tools, they can communicate about the issue and even guide a technician through the steps to fix the fault, without having to leave their desk. Not only does this save time for the technical expert, it also saves time by speeding up skills transfer. By sending a less experienced team member to site, but offering them remote support from an expert, their on-the-job training becomes far more effective and they gain confidence much quicker. The technical expert can even provide support to multiple technicians at various sites at the same time, allowing him/her to transfer skills to other team members exponentially faster. To meet the growing need for remote support, a wide range of tools are becoming available, each with different combinations of features and benefits, and the choice of tool depends largely on the available budget and accessible infrastructure, especially internet connection. The first critical component of all remote support tools is the communication medium. The client or technician at site must be able to communicate with the FSE or expert elsewhere in the world in order for them to explain the problem and be guided through the steps to a solution. The most commonly used medium for this is voice or text. This can be done using any entry-level phone, but many businesses now also make use of communication apps on smartphones, such as Skype or Whatsapp. However, these simple forms of communication in most cases do not provide enough context, which is why phone calls or messaging platforms are not sufficient unless the problem is simple. For the majority of problems, the communication needs to be supported by one or more visual feature. If bandwidth and internet connectivity are not limiting factors, the ideal remote support tool includes a live video feed. In this way, the expert can see exactly what is happening at site, and can guide the technician through various procedures as though they were standing next to them. If the equipment is highly software oriented, the equivalent of a video feed is a screen share so that the expert can see exactly how the software is behaving. A typical example of this is Teamviewer, a highly popular and freely available remote support tool, while more recent examples include in-house remote support screenshare tools used by companies such as Philips. Photo sharing can provide a next-best alternative to video, as a technician can show the expert the exact situation on site. In some cases just one photo can immediately indicate to an FSE what the problem is. However, while photos and/or video feeds allow the expert to see what is happening on site, it can still be challenging for the expert to effectively communicate what must be done. To achieve this, an additional feature(s) is needed. The final key to a successful remote support tool is a way for the expert to provide some form of visual instruction to the technician, and thus close the loop in the transfer of information. This allows the expert or FSE to not just tell the technician how to solve the problem, but literally show them. Entry-level solutions include options such as adding annotations and text to photos, while higher-end solutions include full Augmented Reality (AR) or Virtual Reality (VR) capabilities or 3D models. AR is highly suited to live video feed options, as annotations can be overlaid on the camera image to literally point out things to the technician in their own environment. With the AR glasses market becoming highly competitive, this option is increasingly attractive to large stakeholders, and Microsoft Hololens, Meta Spaceglasses and various other glasses have been successfully used as remote support tools. AR can also be used on a tablet or smartphone to provide a more cost-effective solution. Excerpts from an example of remote assistance being provided using augmented reality glasses, in this case Microsoft Hololens. Click on the image to view the full video. On the other hand, VR can be highly beneficial when trying to guide a technician through particular steps in a complicated process, as the immersive environment lends itself well to interaction and learning. Parts can also be indicated more clearly on a 3D model as opposed to a 2D image. One disadvantage to VR solutions for remote support is that they require the user to wear a headset, and hence they are removed from the environment in which the problem is occurring. As a solution to this, some solutions place only the expert in a full VR environment, while the technician uses AR glasses so that they can still see their environment. An example of how remote assistance can be provided by an expert in a virtual reality environment. Click on the image to watch the full video. An alternative to VR is to still use 3D models but view them on a computer or mobile device, which can provide a simple and elegant solution. The technician can view and navigate a highly realistic model including annotations from an expert, and then apply this immediately to their current environment without having to remove a headset. An example of a 3D model being viewed on a mobile device, with annotations added to point things out to the technician on site. The more advanced remote support tools take the interaction even one step further and allow the expert or FSE to communicate with the equipment directly despite not being on site. In this way, they can identify and potentially fix the problem without the client having to interact with the equipment at all. The above features and examples clearly show how remote support tools have the potential to greatly reduce the Mean Time to Repair (MTTR) and overall downtime of equipment. This has numerous benefits, both for the customer and the service provider. Customers are happier knowing that they will not have to wait days for an expert to be available to come to site, as they can either communicate directly with the expert, or have a less experienced technician come to site quicker. This gives customers a greater sense of control over their equipment. With decreased downtime, the customer will no longer lose out on revenue while waiting for an expert to get to site. Similarly, service providers can attend to more problems and hence also increase their revenues and productivity of expert staff. FSEs have much higher job satisfaction due to the reduced time spent travelling and more time spent helping. The technicians on site also feel a greater sense of accomplishment when they are able to fix a problem. An equally important benefit of remote support tools is skills transfer. By guiding less skilled technicians through procedures, knowledge is transferred much quicker than by passively watching an expert perform the process. This can accelerate the productivity of new staff and lead to a higher-skilled workforce for equipment service providers. Similarly, if it is the client who interacts directly with the expert using remote support tools, they can increase capacity of their own technical staff so that they don’t need to call for expert assistance for similar problems in future. This is especially useful in remote areas where there is low skills availability and it is difficult for an expert to get to site quickly. Remote support tools are a key component of what we do at Looksee.do. 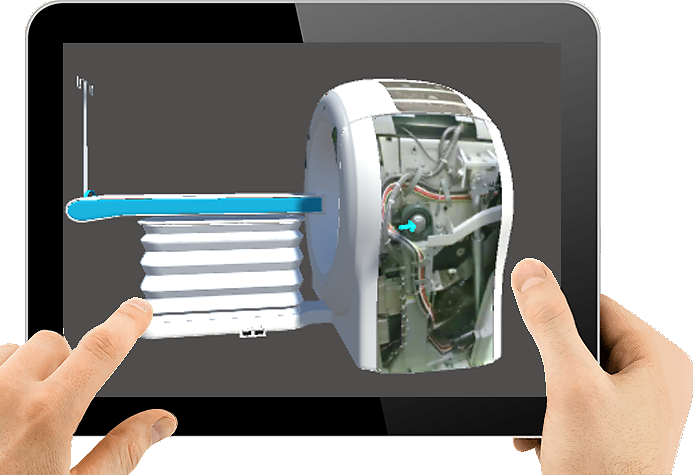 Our keystone solution combines text, photos and 3D models to create a low-cost, low-bandwidth, low-installation solution for remote support. Contact us to find out more about how our remote support expertise can help your organisation.